The Pop-in +bamboo is a firm favourite here at Babipur. 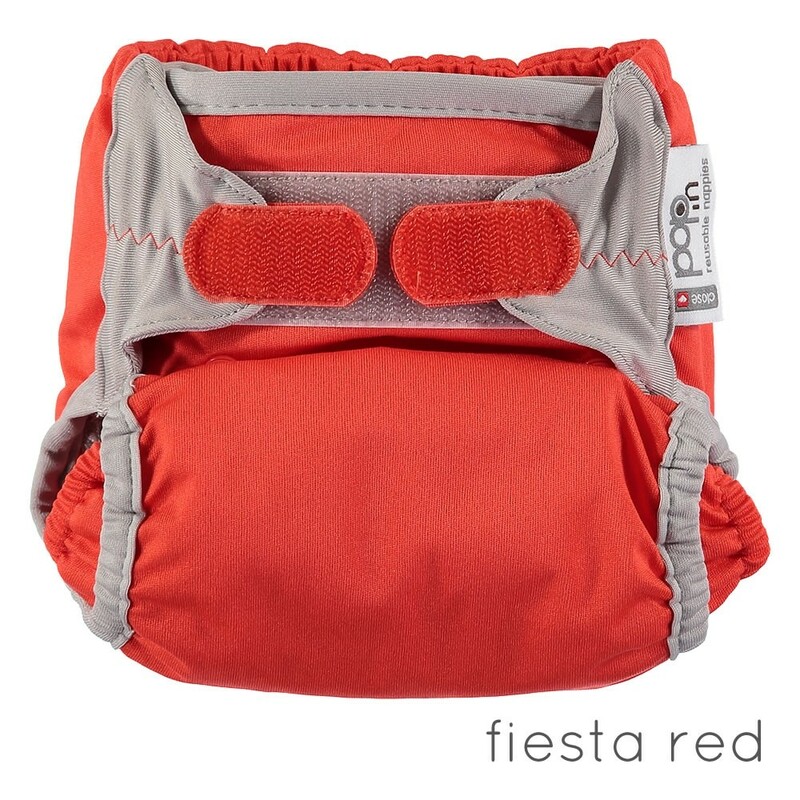 Super thirsty bamboo fabric inside with a bombproof waterproof outer makes for one of the most reliable nappies around. 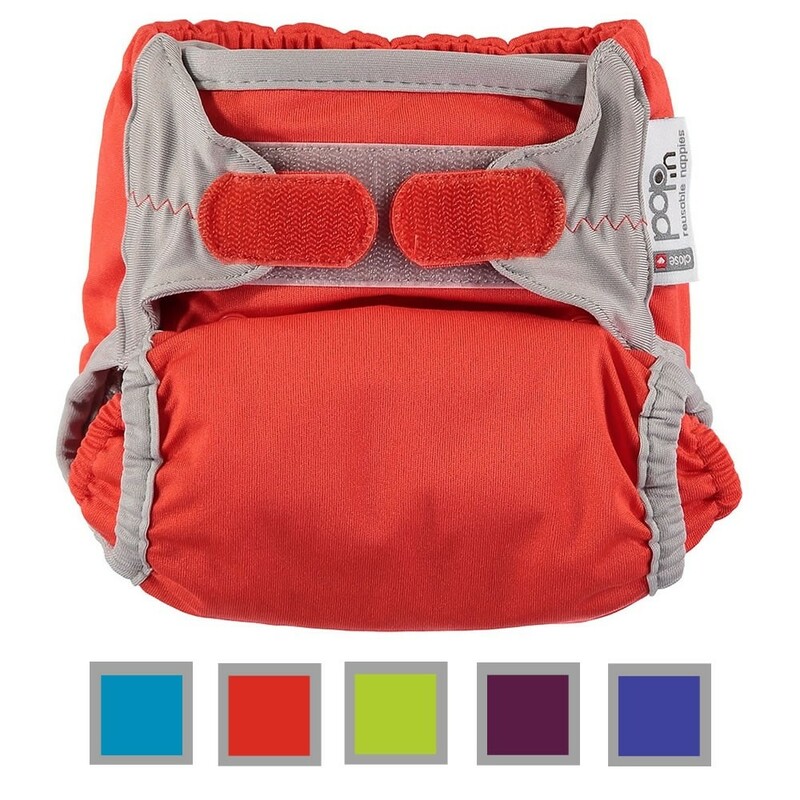 A reusable nappy that's everything to everyone, easy to use, birth to potty, great fit for most babies and a fantastic selection of colours and prints. The double leg gusset ensures excellent containment of poopy stuff and the long lasting velcro fastening makes nappy changing a doddle. 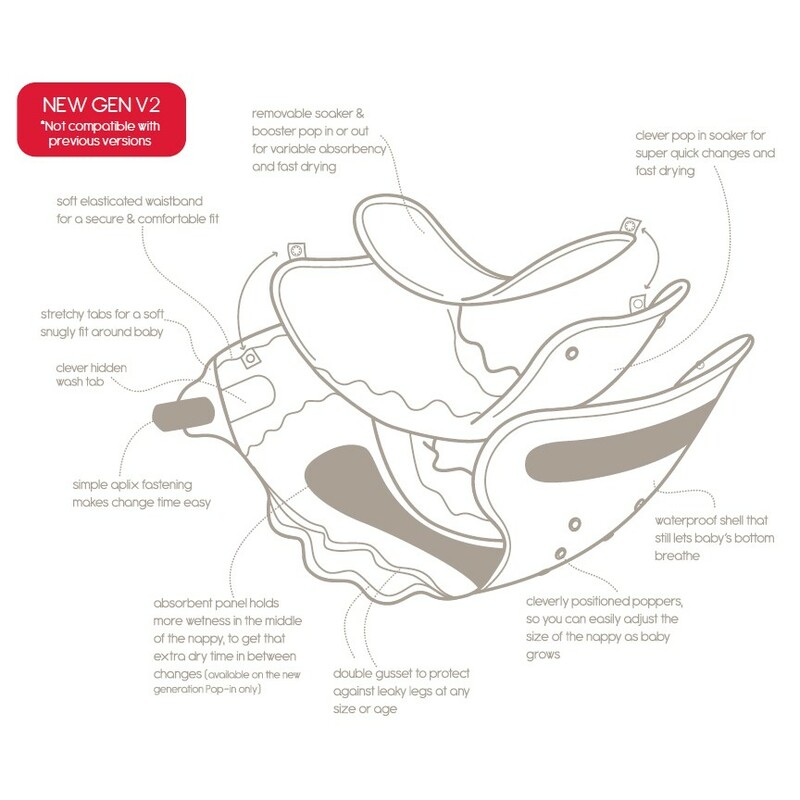 If you're new to cloth nappies, give them a go! 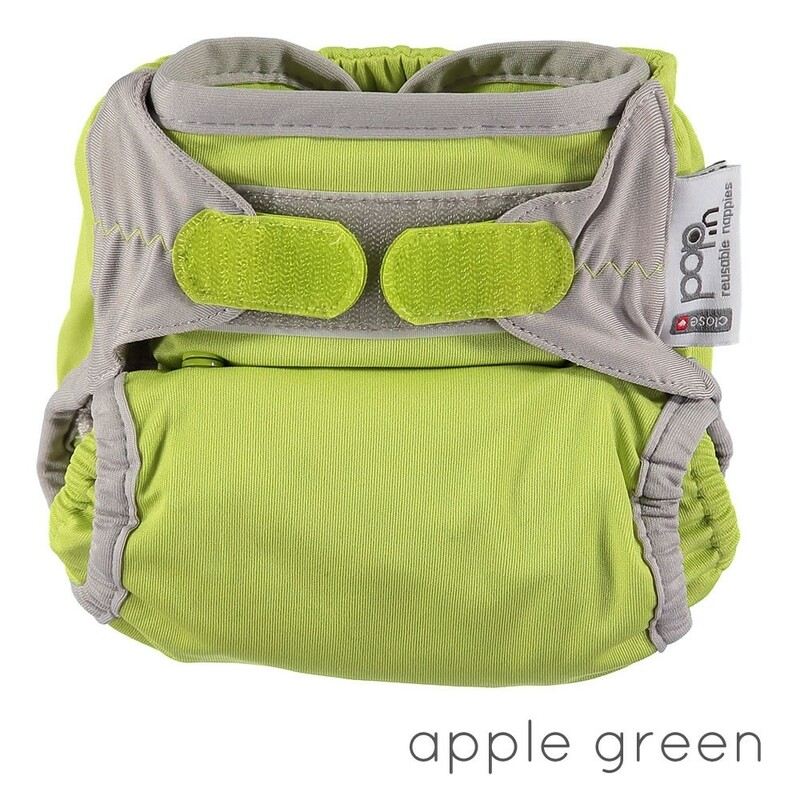 If you're a seasoned cloth user then you'll want to make the pop-in your go to stash nappy. The same Pop-in nappy we know and love with a few little improvements in this latest Version 2. 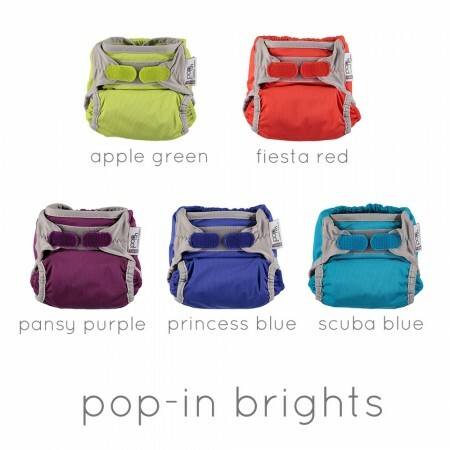 Hidden washing tabs, improved sizing and more comfortable popper system... oh and some great new colours too! 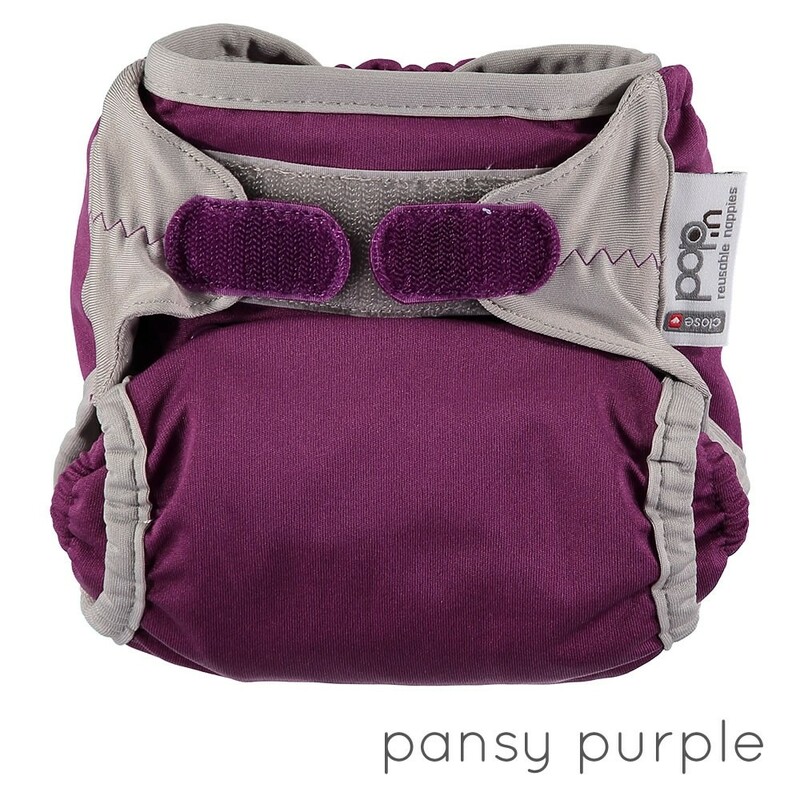 The Pop-in nappy has super thirsty absorbent bamboo soakers which popper into place inside the clever waterproof outer cover. 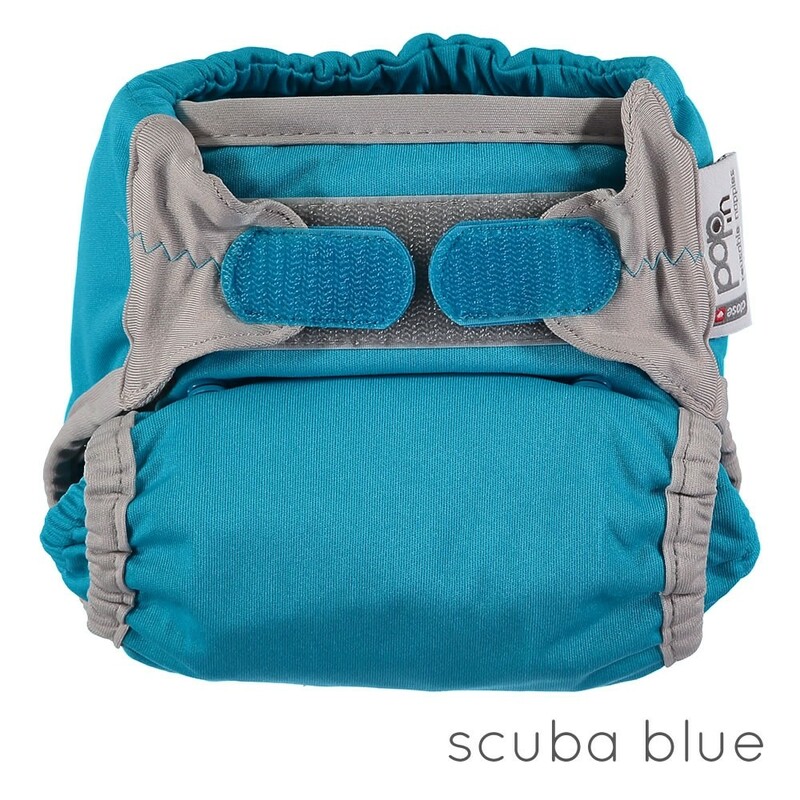 The outer cover has a double leg gusset which is excellent at containing mess and absorbent soakers unpopper for fast drying. 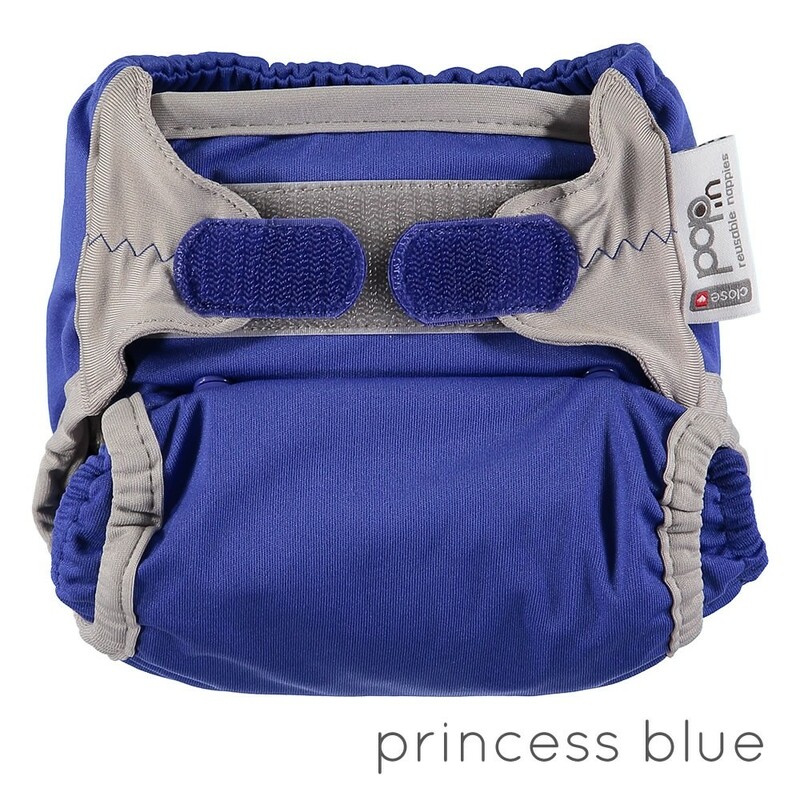 Such a great nappy, the Pop-in is simple to use and really absorbent.